Provide comfort for the family of Lorraine Gray with a meaningful gesture of sympathy. 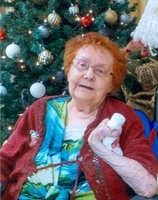 It is with great sadness that the family of Lorraine Gray, 84, of Lunenburg, and formerly of Stonehurst, announces her passing on Thursday, February 7, 2019 at Harbour View Haven Home for Special Care, Lunenburg. Born in New York City, she was a daughter of the late Hugh and Anna (Saracena) Daly. Lorraine is survived by her son, Michael of Blue Rocks. Besides her parents, she was predeceased by her husband John Lormer Gray; sisters, Margo Dana, Virginia Laforge; and brother Thomas Daly. Funeral arrangements entrusted to the Dana L. Sweeny Funeral Home, 11213, Hwy #3, Lunenburg. In keeping with Lorraine’s wishes a gathering to celebrate her life will be held at a later date. In lieu of flowers, memorial donations made to the Canadian Cancer Society would be appreciated by the family. 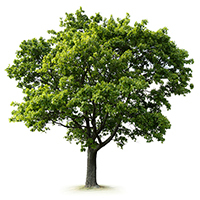 To plant a memorial tree in honor of Lorraine Gray (Daly), please visit our Heartfelt Sympathies Store. In keeping with Lorraine's wishes, a memorial gathering will be held at a later date. Dear Mike, sending our sincerest sympathy and caring thoughts to you and your family in the loss of your mother. We will remember enjoying time with Rainie when she was out and about, sharing some of the same favourite places and friends. My sincere and deepest condolences Mike. Rainnie was a special lady and has left us with many wonderful memories.